Though Hayao Miyazaki never intended to direct Kiki’s Delivery Service, the film contains his directorial signatures throughout, despite the story being developed from a source other than his own. 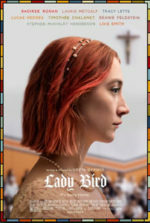 Feminism and spirituality both play crucial, orbiting roles in the film, as the plot seems to revolve around rather than attack a particular objective. But his most lively of children’s tales remains exceptional for being about little more than a young girl’s journey of self-discovery—no villains or even villainesque types pollute those intentions. His film simply and joyously explores the human struggle for independence. Based on Eiko Kadono’s novel, the story tells of a 13-year-old witch named Kiki who must travel the world on her own, eke out some manner of income, and survive by her wits. Witches, you see, do that when they reach a certain age, to prove that they’re clever enough to endure by their witchy talents. That she happens to be a witch does not matter much to the themes, however, as Miyazaki has made a film about growing up, not witchcraft. The source and film differ greatly, as Kadono’s account involved an entire year of adventures for Kiki, whereas Miyazaki limits the events to a single blithe summer. Isolated in her rural village, where her mother concocts herbal potions for the townspeople, Kiki’s parents worry for her upcoming expedition. On a perfectly moon-lit night, Kiki decides it’s time for her yearlong quest of self-discovery. Mother insists that her reliable broom would be a better choice over the flimsy one Kiki has made for herself. So with her mother’s broom guiding her way, Kiki leaves home along with her ostentatious talking black cat, Jiji. Her only facility as a witch seems to be flying on her broom, an all too common capability among witches her age. She has no special skills, unlike the fortune-telling witch she meets on her first night of travel. And so, when she awakens after a night sleeping in the cow car of a train, it’s fortuitous that she finds herself approaching a pseudo-European city completely void of witches. Had she found herself at Hogwarts, she may have been the dunce of the class. But here she does little more than fly about and the local citizens look upon her in wonder, having apparently escaped the film’s witch culture that has some public awareness throughout the rest of the world. 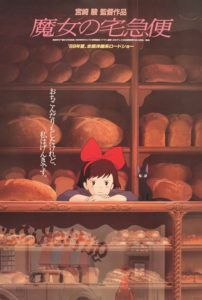 Hungry and homesick, Kiki takes shelter from goodhearted and very pregnant bakery owner Osono, who gives the young witch a job in her bakery and supports Kiki’s self-made delivery business. Dispatching items with the speed of her broom, Kiki’s highflying antics are seen by aviation fanatic Tombo, a curious boy whose eyes light up only around Kiki and the newfangled dirigibles floating over the city. Her troubles begin when her witch powers slowly fail and she can no longer fly. With the help of indie artist Ursula, who lives alone in the woods with only her paintings to comfort her, Kiki finds her powers again and with that a sense of personal affirmation. Miyazaki’s film is about a girl balancing somewhere between dependence and freedom, her main conflict being the route to independence, both in economic but more importantly spiritual terms. Her ties to family are cut when she falls and rolls down a hill, unsuccessfully trying to revamp her failing ability to fly, and in the process she breaks her mother’s broom. That broom, which she holds onto as a symbol of her continued reliance on her family, more specifically her mother, snaps in half, inspiring Kiki to later find a new broom, much like the one she carved for herself at home. She finally achieves complete autonomy and liberates herself from homesickness when she hops up on another broom and rescues Tombo, who hangs from a collapsing dirigible. She saves him, and therein claims her independence. Production took place in the late 1980s, with Studio Ghibli setting the project on the backburner behind other, more important works. Miyazaki oversaw production, but a director had not been chosen for the Kadono-approved adaptation. Katsuya Kondo approved the character designs, since Ghibli’s top directors Miyazaki and Isao Takahata were busy completing their respective films My Neighbor Totoro and Grave of the Fireflies. Only after Miyazaki’s Totoro was released could he begin to review the production process; he read the script’s first draft and decided to rewrite it, adjusting the story to fit his own ideals and themes. After making it his own work, only just inspired by Kadono’s source, Miyazaki decided to direct the picture and expanded the story from an hour-long short to a full-length feature. Upon its release in 1989, Kiki’s Delivery Service became Japan’s highest-grossing film of that year and went on to win the Animage Anime Grand Prix in 1989. Not released in the United States until 1998, when it was distributed through Miyazaki’s admirers at Walt Disney Pictures, it was showered with praise when Americans finally saw what the Japanese already knew—that Miyazaki had surpassed most other animators through his visual artistry and narrative depth. There were, however, some complaints. Fanatical Christian group “Concerned Women for America” accused the film of promoting witchcraft, missing the point entirely and ignoring the fact that the only witchery practiced in the film is some broom flying. 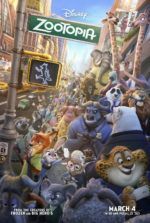 No doubt Disney’s excellent dubbed track helped the soaring video rental and sales profits in the U.S., though many Japanese critics argued the dubbing changed the film. What few changes that were made did not alter the outcome of the story or the nature of any characters, rather improved them. Jiji, for example, was played by a female voice actor in the original version, whereas Phil Hartman, in his last voice performance before his tragic death, played Jiji in the Disney dub. The change is more than reasonable, as Jiji is an unequivocally male feline, as shown when he pursues a fluffy white female cat in the neighborhood. Small adjustments such as this, however diminutive, were all approved by Miyazaki and therefore Studio Ghibli. Even with some minor alterations, themes of feminist independence drive Miyazaki’s protagonist—a cartoon rarity, to be sure, save for in the work of this Japanese master. From Nausicaä of the Valley of the Wind to Princess Mononoke, and manifested in Kiki’s conflict, his films show young women becoming whole. Consider this scenario and how it speaks to teenage girls or boys leaving home after their eighteenth birthday, or even earlier. Suddenly, their life is their own but still they have something to prove to their family—that indeed they no longer need the nest. 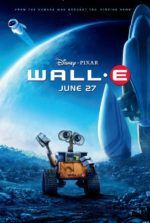 The groundwork of the story is universal, despite being an animated movie from Japan. Miyazaki proves time and again that anime, in his hands, can be transcendent. Kiki’s Delivery Service might appear to be “kid’s stuff”, something adults could never sink their teeth into or reflect upon as serious cinema—such a misreading disappears after one screening of Miyazaki’s observant, sensitive film. After all, Miyazaki has never made a film just for children, despite his insistence that animation is specifically reserved for young ones. Here’s a picture where the audience includes children, teens, and adults in the protagonist’s struggle to grow up and become independent. Whether the audience looks forward to such growth, presently relates to Kiki’s uncertainty, or remembers their own confusing times, that Miyazaki has involved everyone in the experience remains the film’s greatest treasure.